1 1/4" round necklace with the words "I never knew how much love my heart could hold, until someone called me Nana" hand stamped. 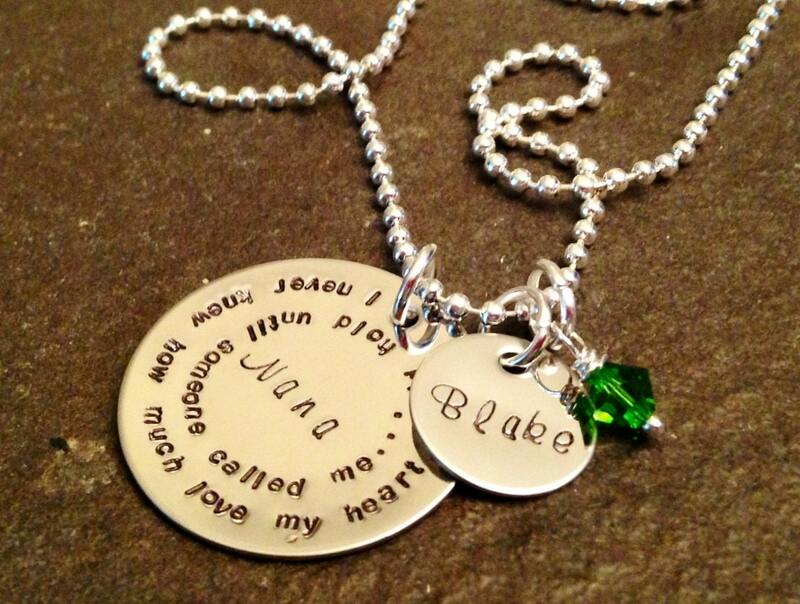 Includes a small 5/8" charm that you can personalize with any name or date you'd like. 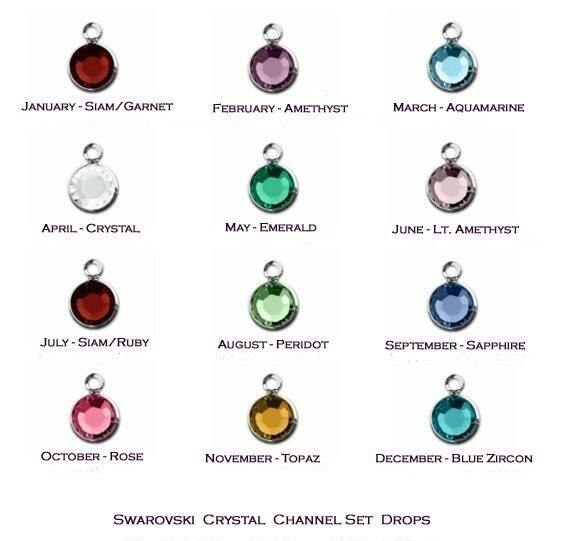 Also includes a pearl or crystal in your choice of color. Please use the drop down menus provided to select between the standard ball chain and the upgraded box chain, as well as what color crystal or pearl you would like on this necklace. **The "Nana" can be changed to anything--mom, grandma, etc. Just put in the "notes to seller" box what you would prefer.